Google has released new and exciting feature for its product Google News called Google News Badges. Google News is one of the most news reading website on internet with millions of readers worldwide. Google News provides news from all sources either its political, religious, technology, business etc. Google turns reading news articles into a game where readers are rewarded with news badges based on their reading habits. Google officially announced this news on its Official Google News Blog. Starting today, in the U.S. edition of Google News, you can see how voracious a news reader you are by earning Google News Badges as you read articles about your favorite topics. 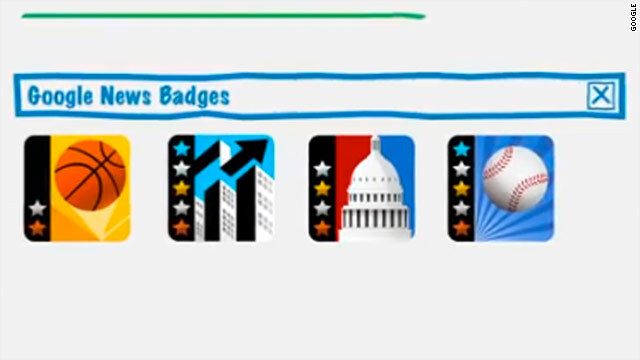 The more you read the higher level badge you’ll receive. "On Google News, the average reader of political news has read 20 articles about politics in the last six months. Where do you stand? Once we see how badges are used and shared, we look forward to taking this feature to the next level." 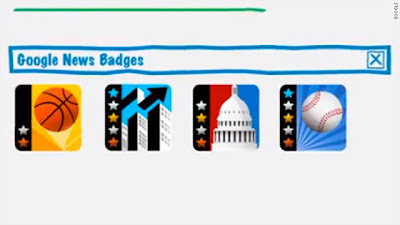 You earn badges by reading articles on specific topics. The more you read, the more stars appear on a badge. The stars start at the Bronze level and move up to Silver, Platinum and Ultimate. There are more than 500 badges available to suit a wide range of topics. Google's badges are private by default, meaning only you can see which awards you've won. But as soon as you are ready to start showing off how many articles you have read, you can share the badges with friends. Like with all Google products, there is easy integration with other Google features so you can easily share your badges on your new Google+ account. This automatic sharing of news sections is probably the most interesting feature of badges, but it isn't as useful as it could be. Your friends can see how many stories you've read, but they can't see what stories you've read, or better yet, stories you've marked in some way. To turn Google News Badges on, enable Web History. Badges will appear in the Personalize column in Google News, if you don't see the column, you can open it by clicking "personalize" at the top right corner of the screen. Google has a help page that explains the new feature, complete with a short, happy video.